Oh my gosh, what a breakfast! 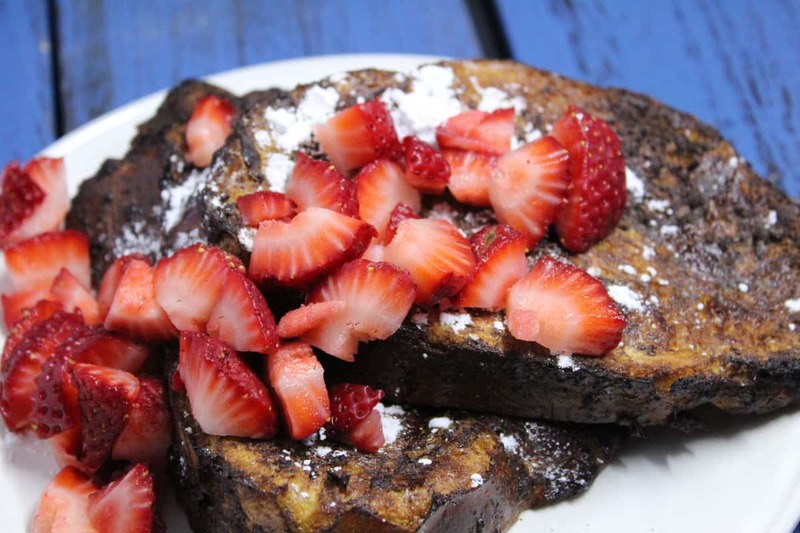 This is the most amazing breakfast, it combines two of my favorite things, chocolate, bread and strawberries. It is like eating dessert for breakfast, my kids and husband absolutely loved it, my youngest son was liking the plate, to get all of the confectionary sugar off his plate. It was amazing. 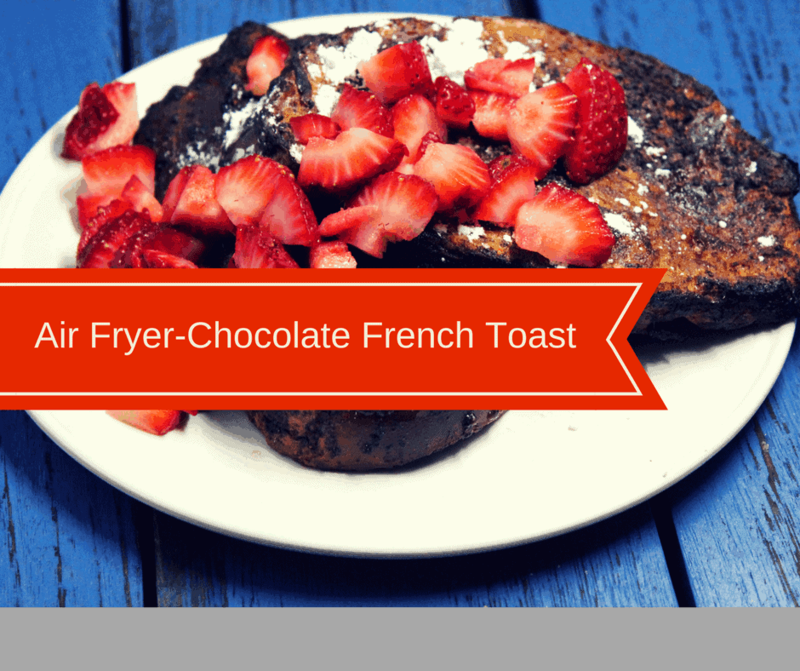 The chocolate french toast is actually very healthy for you since you are not frying it, it’s nice and light. I used a very good bread I got this weekend at Wegmans (which, is becoming my favorite grocery store), and it’s challah bread. Which is light, thick and just yummy by itself. If you are like me, you like the french toast slices of bread thick, so it was really nice that I could just slice off and determine my own thickness for the bread. 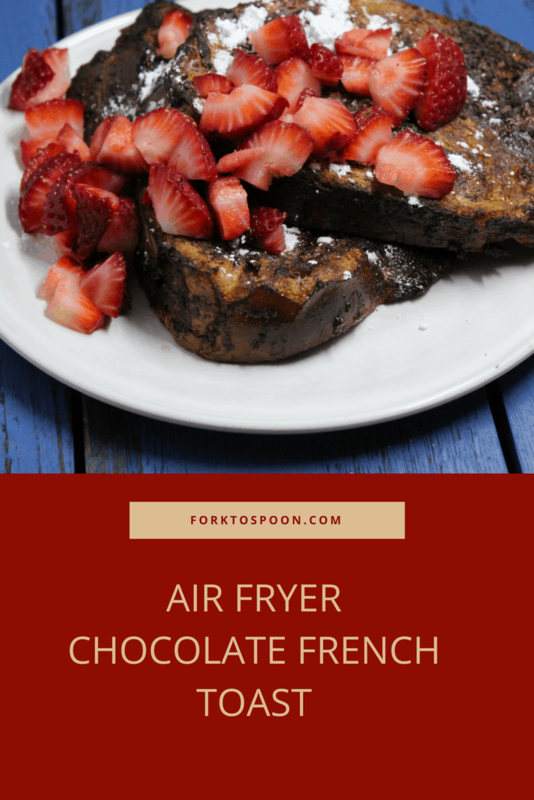 One really helpful hint in making this chocolate french toast is to let it soak for about 5-10 minutes, because the more we let it soak, the better it became. So, the second person’s french toast was better than the first, because I cut the bread and then let it soak while the other person’s cooked. This is going to be a fun recipe to make with all of the fresh fruit that is coming to market soon, especially with the strawberry season, almost upon us. 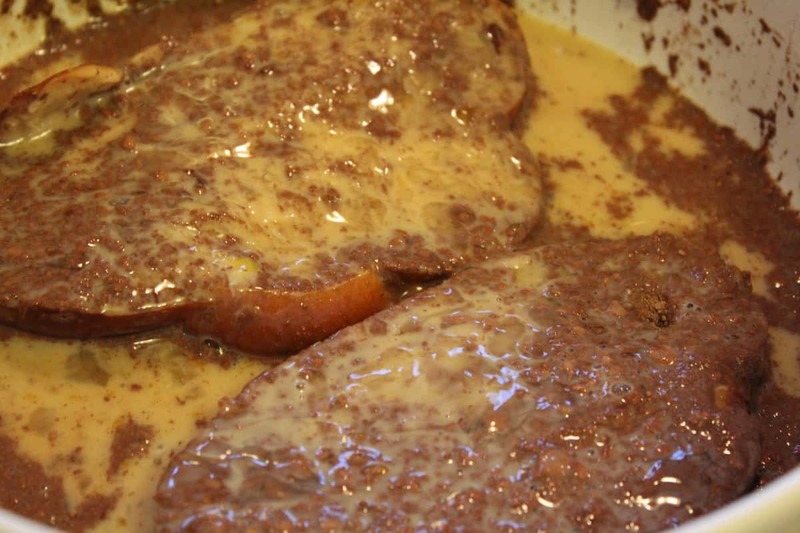 I am going to have so much fun, making french toast this year, the varieties are endless. 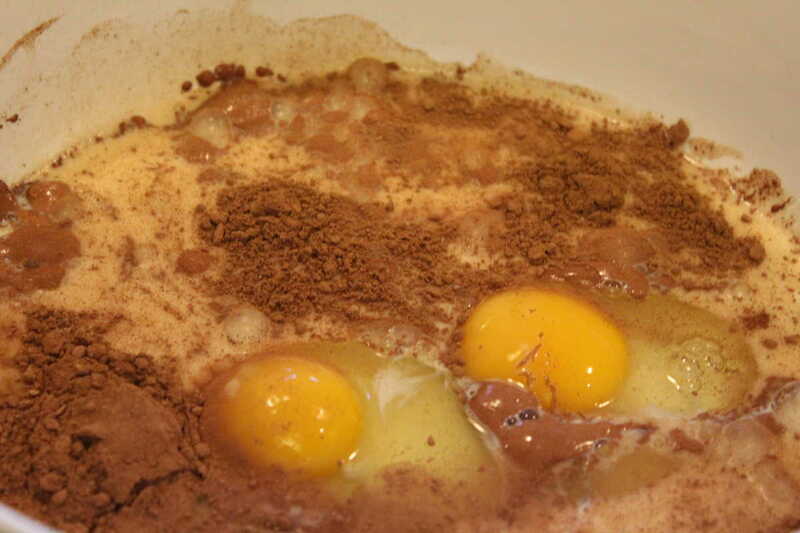 Start by adding all of your ingredients into a bowl. 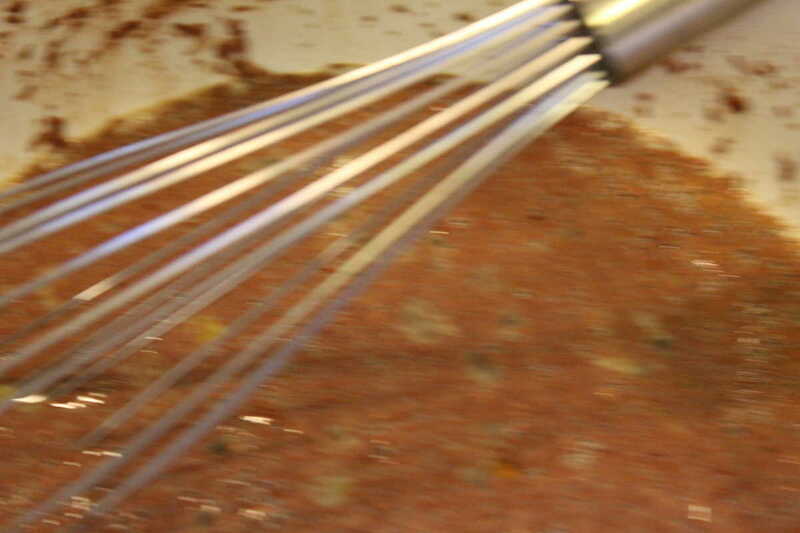 Use a whisk and mix well. Optional Garnishings: Confectioners' Sugar, Strawberries, Maple Syrup, Whipped Cream, etc. 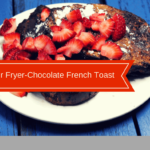 Start by making your french toast batter in a mixing bowl, mix together the sugar, cocoa powder, salt, milk, eggs and vanilla extract. 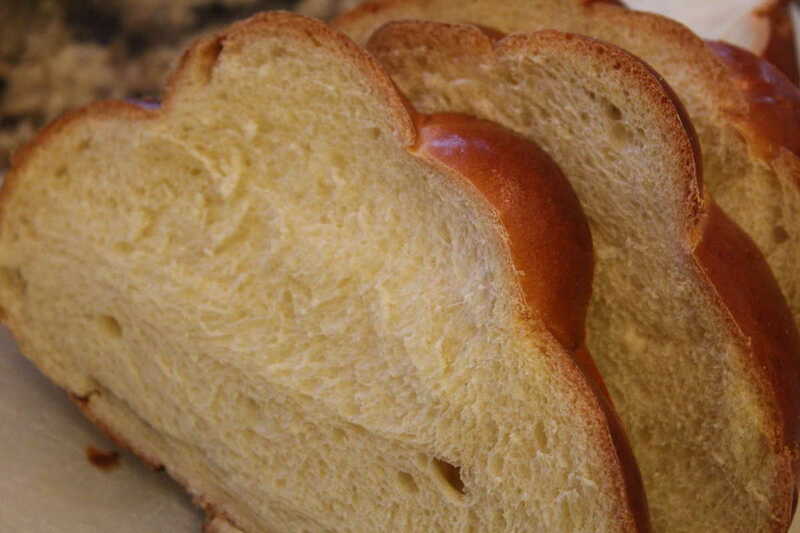 Cut the challah bread (if not already cut) into slices, the thickness will depend on how you like it, I cut mine rather thick. 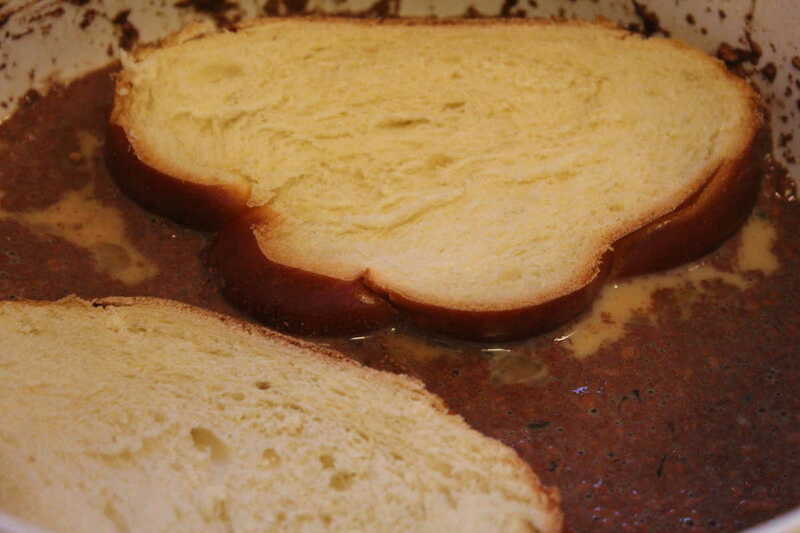 Then place the sliced challah bead into the french toast batter, and let it soak 5 minutes per side. Then spray an air fryer safe pan with non-stick cooking spray, which will make it easier for you to flip. Set the temperature to 400 degrees F. (or 390 F, if you air fryer only goes up that high) for 4 minutes. Then flip and do another 4 minutes. 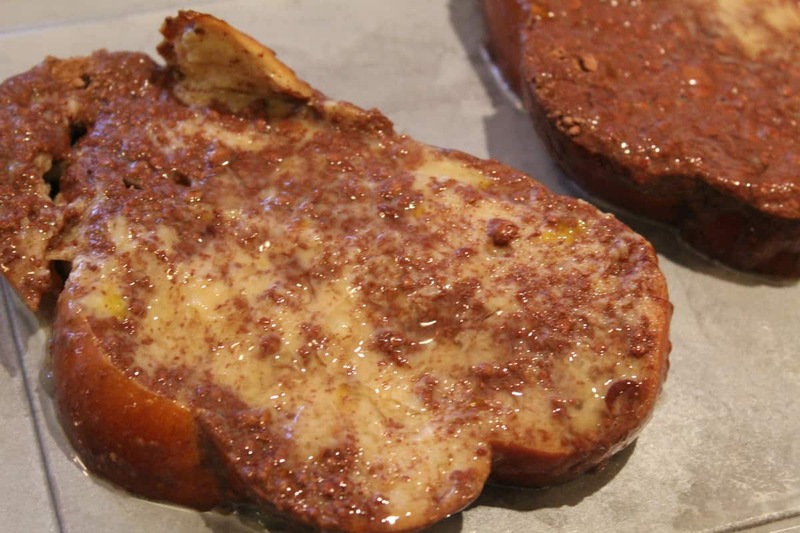 Note: The actual cooking time for your french toast will depend on the thickness, the wattage of your air fryer and the degrees that you have it on. 390 vs 400. Please check and make sure that it's fully cooked. Remove from the air fryer, garnish as you wish.